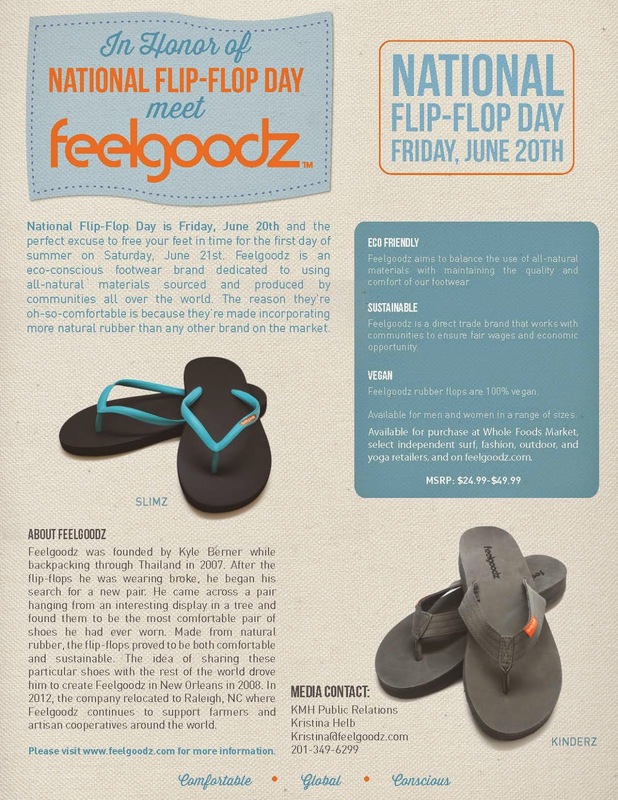 National Flip-Flop Day is Friday, June 20th and the perfect excuse to free your feet in time for the first day of summer on Saturday, June 21st. Feelgoodz is an eco-conscious footwear brand dedicated to using all-natural materials sourced and produced by communities all over the world. The reason they’re oh-so-comfortable is because they’re made incorporating more natural rubber than any other brand on the market.